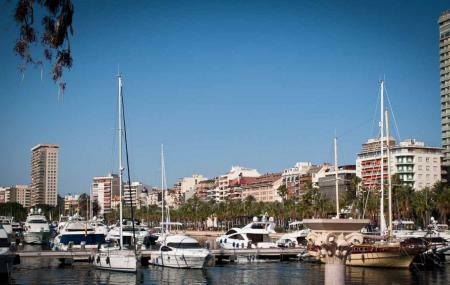 To enjoy luxury at its best, head over to Alicante Marina during your visit to the city. The marina is where you will have a taste of the finer things in life! With stylish bars, wonderful restaurants, excellent shopping centres and nautical adventures, the Alicante Marina is always bustling with energy and overflowing with luxury. In the evening, take a moonlight stroll along its wide promenades, marvel at the expensive yachts or sit on one of the many benches and people watch! How popular is Alicante Marina? People normally club together Canelobre Caves and Mount Benacantil while planning their visit to Alicante Marina. So this is nice place for walk around with plenty restaurant with great food. Nice place no to busy so you can rest from nice and enjoy nice views and cool wind coming from the water. A great place to walk around, stop for a drink or eat in one of the many restaurants. There is even a Casino if you fancy a gamble. Normally the Galleon Santa Fee is docked for you to go aboard but is in drydock at the moment. If visiting Alicante this is worth a visit just to chill and rest your weary legs. Lots of beautiful boats to drool over! Good choice of reasonable priced restaurants too. A beautiful area with lots of lovely restaurants but, I suggest that you walk into the centre of town to find lots of wonderful cafes, bars and pizzarias that cost a lot less than at the marina.